The Glasgow Coma Scale (GCS) is the most common scoring system used by physicians in Kansas and Missouri (and pretty much everywhere) to identify the symptoms and level of impairment or consciousness of an accident victim suffering from a traumatic brain injury. The GCS results help measure the severity of an acute brain injury. As a Kansas City brain injury lawyer, I've seen many of our law firm clients benefit from the GCS test. It is easy to administer, reliable and objective, and has strong correlation with potential medical outcomes after a severe brain injury. The GCS is typically administered by a trained medical staff person or physician either at the scene of an accident or injury or immediately thereafter at the hospital emergency room or other urgent trauma care locations. Later, it can be re-administered to determine if the symptoms and severity of the injury have improved, worsened or remained stable. When administering the GCS, medical professionals will use the above scales to rate the motor response, the eye opening response, and the verbal response a brain injury victim makes. The total sum of these numbers is equal to the final GCS score or grade. A patient's Glasgow Coma Score (GCS) should be documented and provided on a coma scale chart. This chart makes it easy to identify any improvement or worsening of a brain injury victim's condition promptly so appropriate medical action can be taken. While the sum of the GCS score is important, the individual scores in each category should also be examined. For instance, the individual scores of a brain injury patient's GCS should be reported separately (such as, E4V3M2) as well as added together to give a total Coma Score (e.g E4V3M2 = 9). For instance, a GCS score may be documented in medical records or the medical charts as GCS 9 = E4V3M2. Mild brain injuries should not be discounted or ignored. Mild brain injuries, such as concussions, can cause temporary or permanent neurological symptoms. 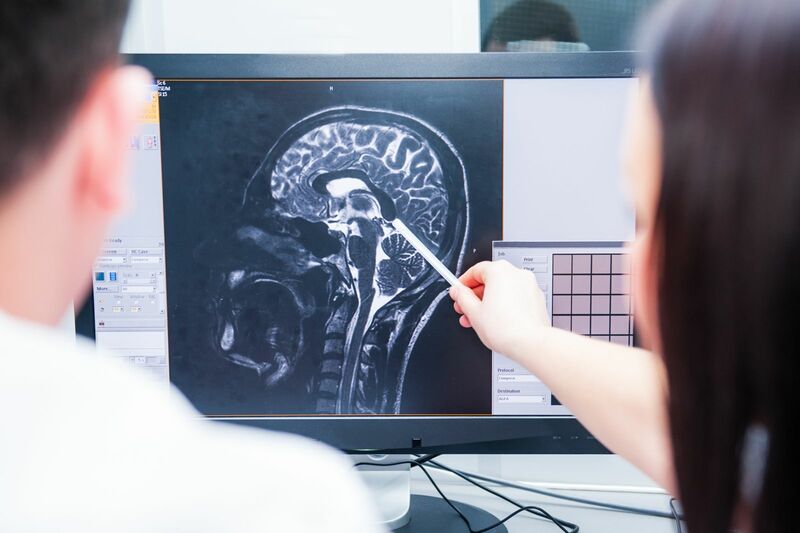 These injuries are often difficult to diagnose, and many tests used to diagnose brain injuries, such as neuro-imaging tests like CT scan or MRI, may fail to indicate any brain injury at all. Moderate and severe brain injuries can lead to long-term, life-changing impairments in a variety of areas, including motor and mobility skills, cognition (thinking skills), and even one's emotional and behavioral functioning. The GCS is not a perfect test or predictor of severity, and certain factors can reduce its accuracy. Such factors include low blood oxygen, impairment from drug use or alcohol intoxication, and traumatic shock. Another limitation in the GCS is that it should not be used with children, particularly young children with undeveloped language skills. Instead, there is a modified scoring system that is used for measuring the severity of brain injury in children. This modified test is known as the Pediatric Glasgow Coma Scale, or PGCS. The PGCS uses the same three tests: eye, verbal, and motor response. In addition, the PCGS considers these three values separately as well as together. Brain injuries -- and the legal claims that arise from them -- can be very complex and difficult to navigate. If you or a loved one have suffered a brain injury due to the negligence or recklessness of another, please know that you are not alone. Our Kansas City brain injury lawyer and our legal team are ready to assist you. Please give us a call at 816-203-0143, or fill out the form below. We are happy to help you as we have helped countless others, whether it is simply answering your questions or providing a free, confidential consultation. There is a lot at stake in a brain injury case, so make sure you get the fair treatment and compensation you deserve. Call us today.